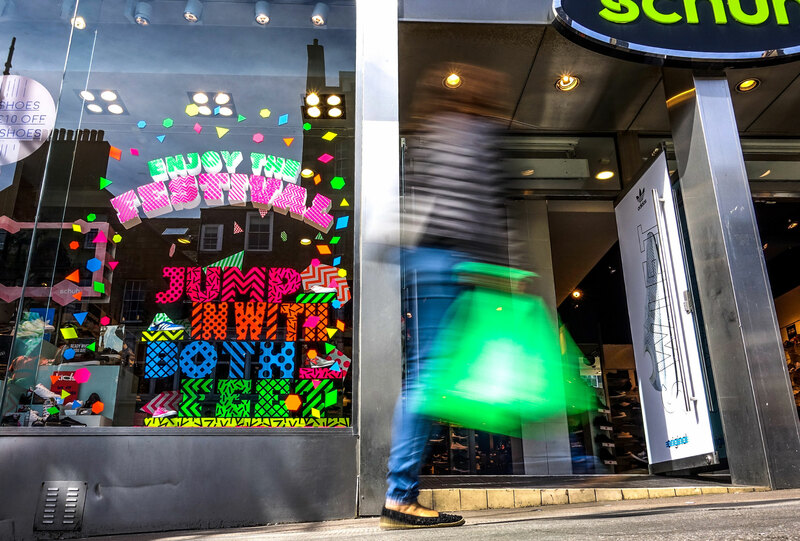 The high street footwear brand Schuh approached us to design and produce a window installation for their Edinburgh (Frederick Street) branch to celebrate the Fringe Festival which is one of the largest arts festivals in the world. 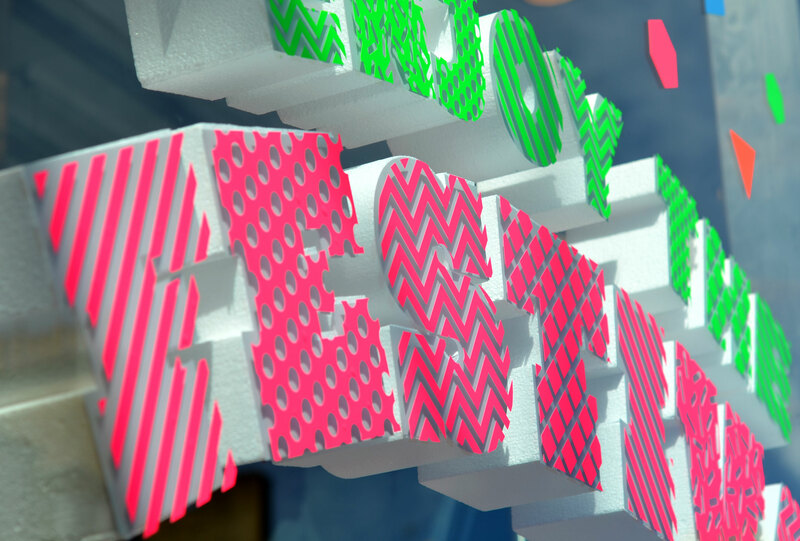 Taking place over the month of August and now in its 70th year the fringe festival features performances in theatre, comedy, dance, physical theatre, circus, cabaret, children’s shows, musicals, opera, music, spoken word, exhibitions and events. 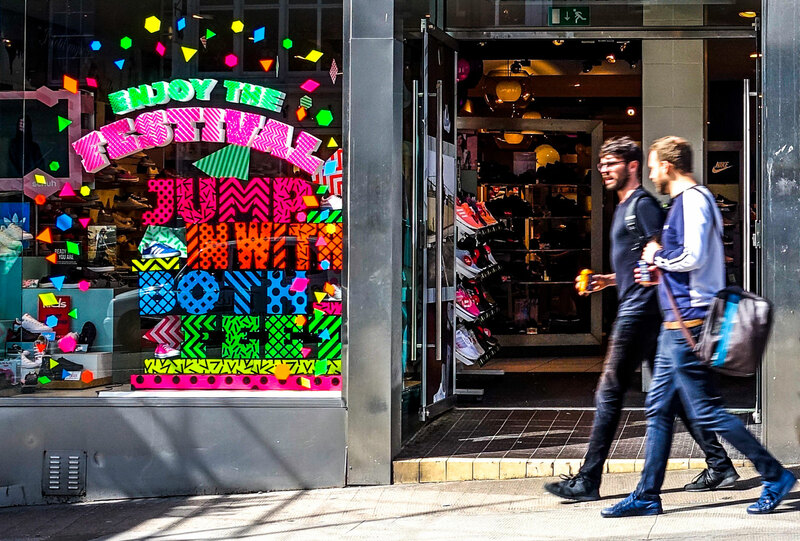 Our bright and bold ‘Enjoy The Festival – Jump In With Both Feet’ design creates a striking eye catching visual to celebrate the festival and to welcome everyone to the city. 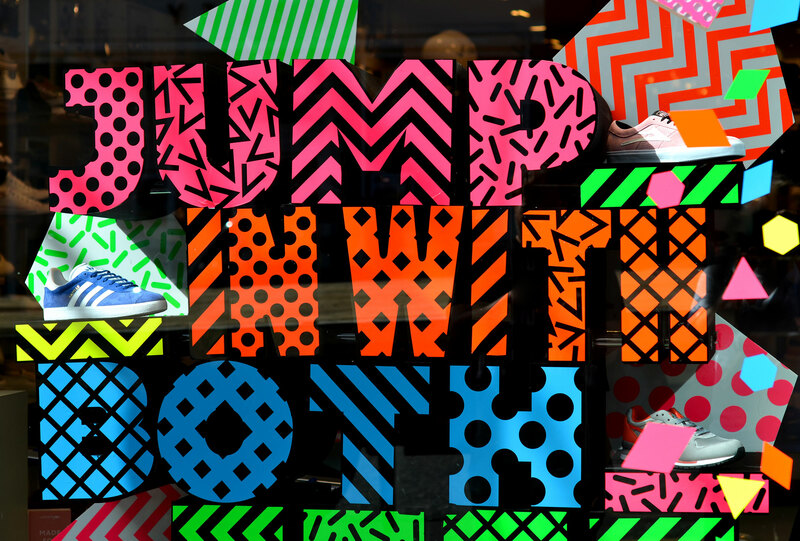 Created from large 3D foam lettering with acrylic fascia featuring day glo vinyl patterning sat amidst hanging patterned shapes and a floating message attached to the window it’s an out and out celebration of the colourful and varied festival, encouraging one and all to fully immerse themselves. Special thanks to Frazer Waller for the photography.